Spring, Texas – March 23rd, 2018: According to the Harris County Precinct 4 Constables Office, two suspects have been arrested in connection to a fatality hit and run accident this morning. 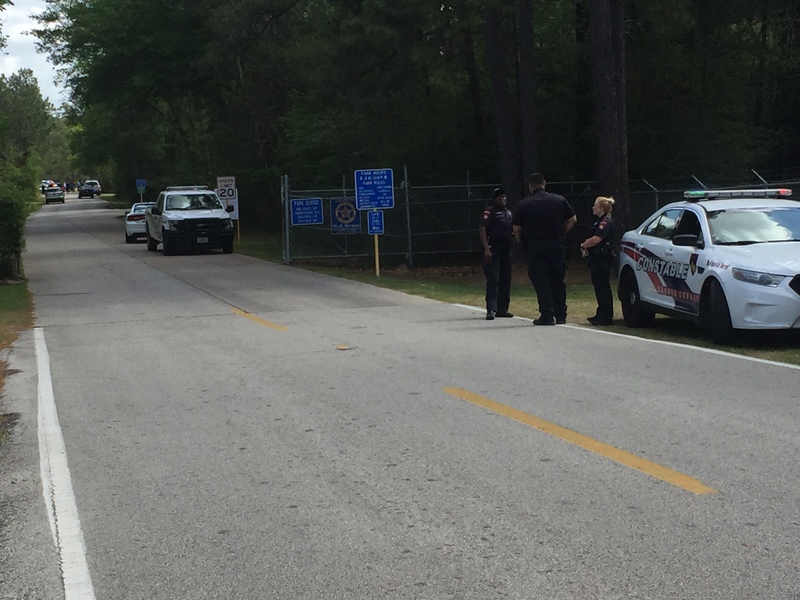 The scene unfolded at Pundt Park near Spring Creek and Aldine Westfield. Preliminary reports say that two suspects hit a bicyclist in the Park, crashed out in the woods and then fled on foot. Deputies quickly set up a perimeter around the park. With the assistance of a police K-9 and air support, two suspects were taken into custody. The bicyclist, whom was a woman in her 60’s was pronounced dead on the scene by EMS. Her name has not yet been released. This is an active and developing situation. Additional information will be posted once available.